"There are three things all members can do to help share the gospel, regardless of the circumstances in which they live and work. All of us should do all of these. "First, we can all pray for desire to help with this vital part of the work of salvation. All efforts begin with desire. "Sharing the gospel is not a burden but a joy. What we call 'member missionary work' is not a program but an attitude of love and outreach to help those around us. 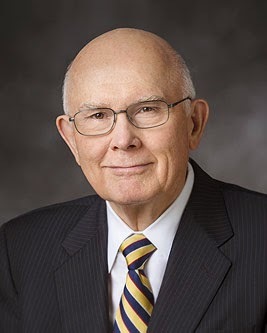 It is also an opportunity to witness how we feel about the restored gospel of our Savior." 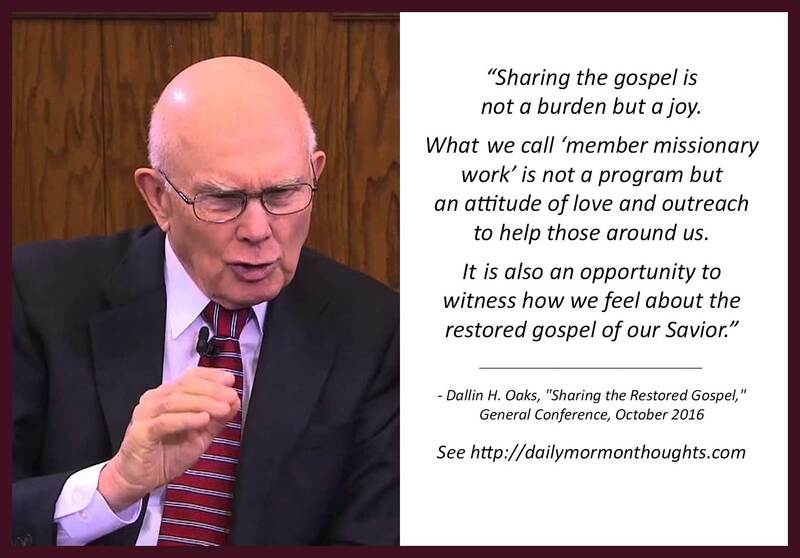 In his recent conference address, Elder Oaks offered thoughts and suggestions about sharing the gospel with others. He helped remind us that it's not a duty or a burden, but a privilege and a joy. He offered the three basic suggestions included here, and then a longer series of additional ideas to help facilitate gospel discussions with others. All of us can benefit from pondering his suggestions. In other words, our willingness to share the message gives insight into how well we understand and appreciate the message!